Video: Missing Camp Spring Creek? Selecting a Room Inspection winner daily (instead of at the end of the week) and rewarding them with freezy pops at lunchtime. 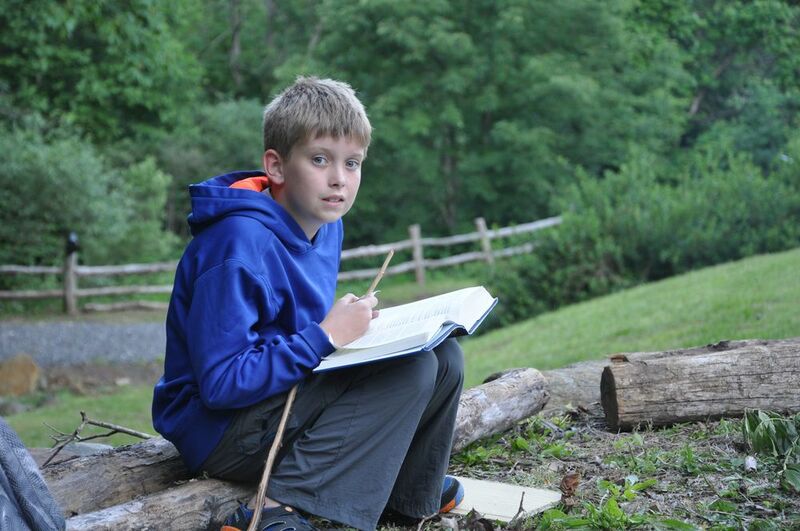 By now, our campers have headed down new paths...back home, readying for a new school year, dreaming of next summer. Our hearts are with you and please call or email us at any time! 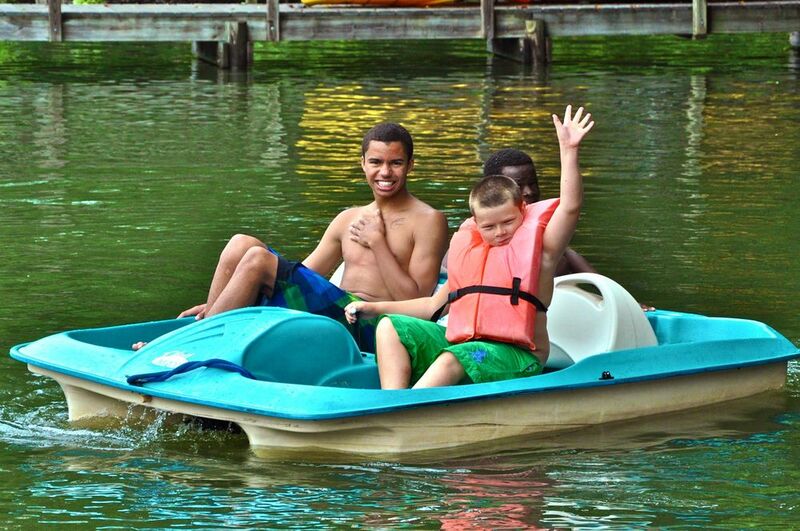 We're in the home stretch of summer here at Camp Spring Creek and so much has happened, at times it feels like a blur. We said goodbye to campers Miles and Matthew last week and miss them both. Meanwhile, CIT Gregg (who came at the midpoint of summer), has been enjoying his new role and is thrilled that he got to overlap a little bit with Marco, who was our CIT for the first half of summer. 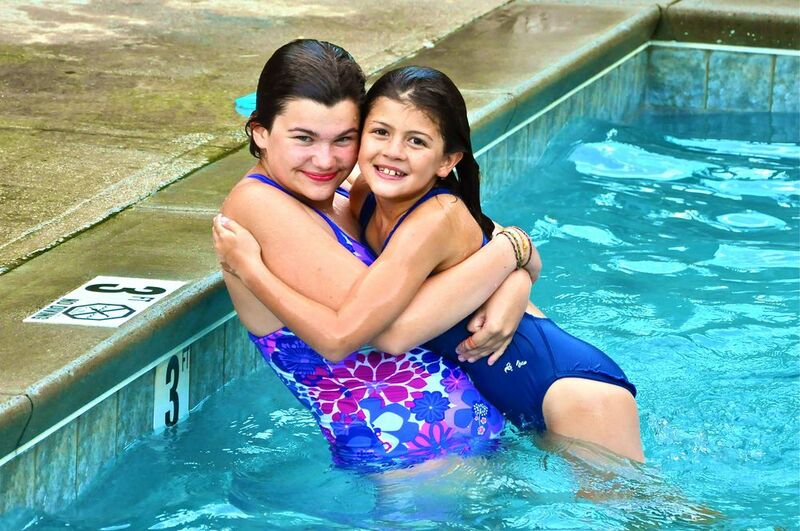 These two first met a Camp Spring Creek as campers and have known each other for years! 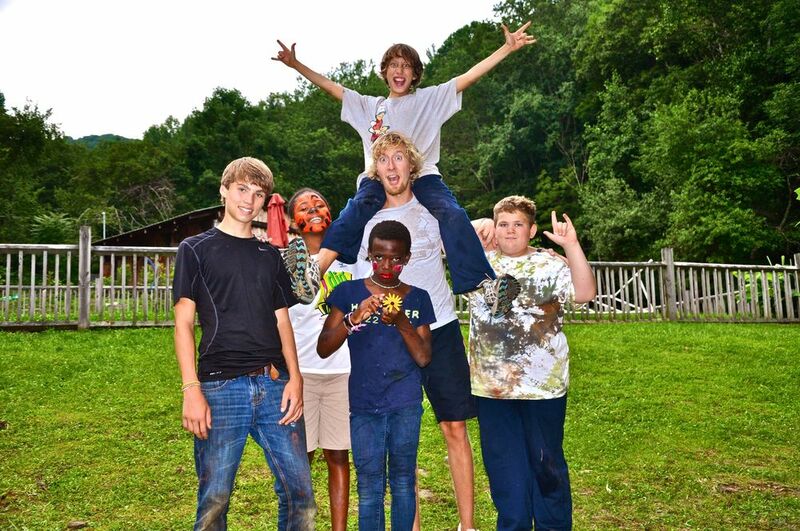 Greg has been helping out in the boy's cabins, assisting with lifeguarding, kitchen prep, and sometimes even woodshop and art. "I’ve been taking a lot of kids down to breakfast in the morning or helping them get ready for bed at night," Greg said. "I also make sure they brush their teeth and make their beds right." Rain, rain, and more rain. But still, we swim! We hike! We laugh! Campers have been making ceramic mugs and vases in Art class and finishing up bird houses, doll houses, and bird feeders in the Woodshop. We changed our Outdoors Class around a bit. Rather than having this class peppered throughout the day with small groups of campers, we now enjoy Outdoor Class together. 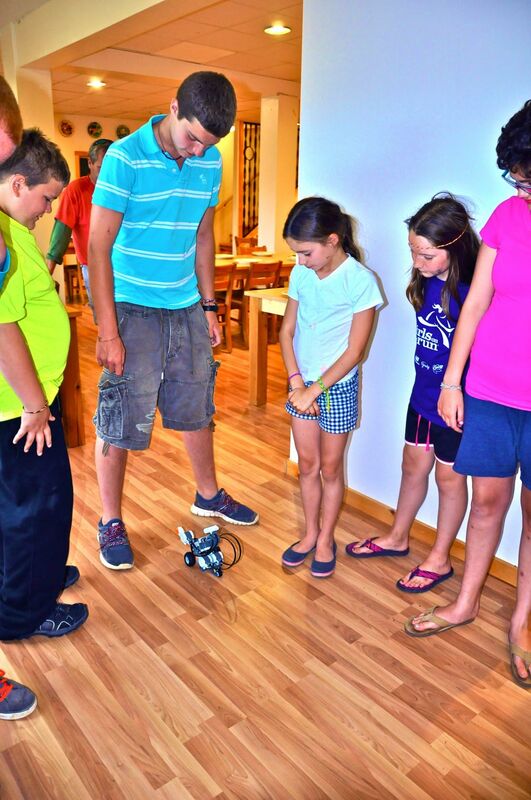 For the final period of classes, everyone in camp gathers and chooses from several outdoor options, giving them exposure to more fun activities over a longer span of time. Lately, we've been offering rock climbing, paintballing, water polo, hiking, and basic lifeguarding skills. 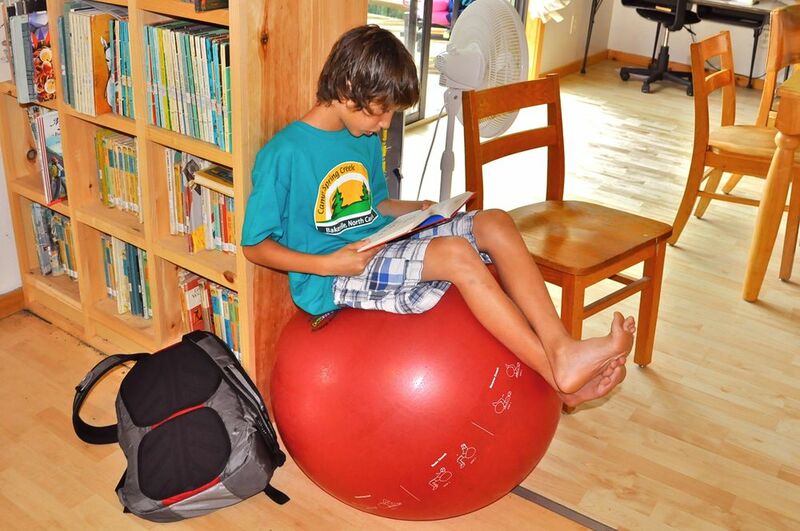 After Outdoor Class, everyone piles inside for Study Hall to wind down our day before dinnertime. And our "Announcements" song has gotten a makeover. We still have 7 verses going (one for every week of camp), but we've changed them up a bit and moved things around to keep it interesting. Phew! Just singing the song is a workout in and of itself! This weekend we camped at the McDowell Nature Preserve, went wild with whitewater rafting, and even experimented with ziplining and mega jumping. Who knew there we so many different ways to have a roarin' good time--and with good friends, too! Sunday, everyone went on the infamous hike to the top of the property, which involves 2-3 hours of brave bushwhacking through nettles and brambles (it's fun, we swear!). Up top, we took a break, then took the easy way home down an old logging road. Great job, everyone! Time to hit the showers! Sunday night concluded with an impromptu game of poker between the boys' cabins. In the end, the winning camper earned his prize by deciding that the boys in the losing cabin would make his bed every morning for an entire week! Another bonus has been Chef Kevin and Nurse Kelly's sweet, lab puppy named Oliver ("Ollie" for short). Mimi's a giant compared to this lil' pup but we have a feeling that by next summer, these two will be unstoppable giants. It's been delightful to watch them "growing up" together at camp this summer and we'll try to post a photo soon. Our Trail of Pages is epic! During Week 6 of camp we read a total of 3,307 pages and 52 books! Cabin Inspection continues to be a healthy rivalry. Week 6 went to the Senior Boys cabin and they haven't decided yet what they want their "treat" to be, but they're considering paintball. We said our tearful goodbyes to tutor Chris, C.I.T. Marco, and campers Ana, Olivia, and Tyler last week. Safe travels home and keep us close to your hearts. We miss you already! Buddy Beads have been effusive lately! For those who don't know, each day after lunch we take a moment to offer "Buddy Beads" to someone special. If someone made your day, or impressed you, or went out of their way to do extra work, or even just made you smile and gave you a hug at the right time, you can celebrate that person (camper, staff, tutor, counselor - even Mimi!) by offering them a "Buddy Bead" after lunch. You raise your hand and tell everyone in camp about the special act that someone did, and they get a bead and a round of applause. On Friday, we had an all-camp dance with a "Black & White" theme. Saturday, we hiked to Wilson's Creek with high hopes of the great, natural swimming holes there. However, a last minute downpour saw the already high waters rise up and over the ledge we like to sit on (that's 4 feet higher than normal! ), so we were rained out of the swimming hole. We made the best of it on the natural rock slides down into a lower, deep pool, however, and then hiked our wet selves back to the vans. Sunday, we went to Tom's Creek and everyone washed their hair in the waterfall! We concluded our weekend with bowling at Lightning Lanes and our weekly ice cream sundaes, before ending with study hall. Everyone continues to get different, private tutoring sessions with Orton-Gillingham methods--so it's difficult to explain who is doing what. Suffice it to say that everyone is still tapping for sounds and chunking for syllables, an exercise they'll take home with them and hopefully practice throughout the school year. The great thing about the rain is that we're getting really creative with ways to spend our time indoors. We've had Bingo night and board game night already! The skies did part once this week, and we snuck in a rousing outdoor game of Capture the Flag. It's been a bit too wet to mow and weed whack, so Olson has been keeping busy moving things around with the tractor and doing trash runs to town. Lilja is seeing great progress in the pool with daily swimming lessons. There has even been an early morning swim crew that meets from 6-6:30am for a little exercise. Way to go, campers! Those who aren't swimming first thing in the morning have been going on runs along one of the wooded trails...and a few even race down the gravel road on the mountain (and back up) to get their hearts going as the sun rises. Wow! We started telling a joke a day at breakfast and the campers have been cracking up at their own, cleverly created dyslexia jokes. 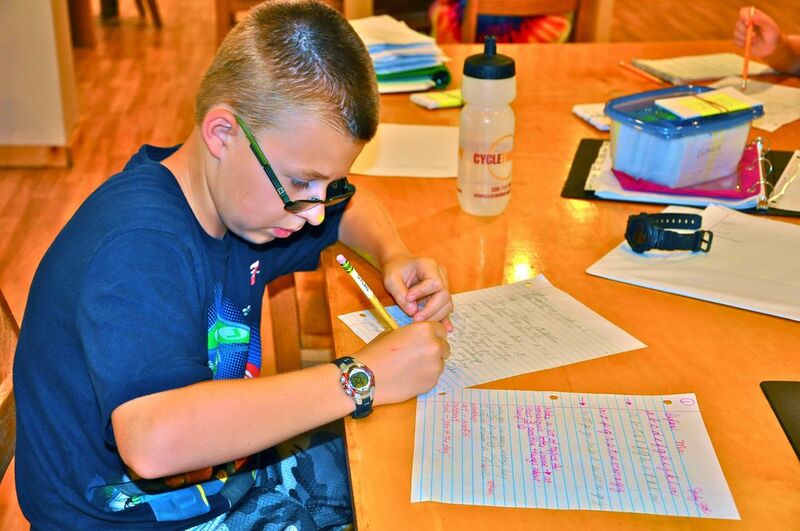 Here's one from a few days ago: "Somebody just heard that ten out of two people have numerical dyslexia..."
On Friday, we headed to Parkway Playhouse for some live theatre and received four compliments on the campers' polite behavior. We spent Saturday at Lake James, hosted by camper Emily's family (they are so gracious!). We played and splashed all day long, doing every kind of water sport you can imagine: paddle boarding, paddle boating, wake boarding, you name it! We had lunch and dinner together on the lake, and came home delightfully exhausted. On Sunday, we faced another huge downpour, so we drove to town to catch up on laundry (no use using the clotheslines!). Some campers decided to stay at camp and bake cookies with Chef Kevin. The evening ended with movie night and a slide show by camp photographer, Nina van der Vorst. Last but not least, Mimi the camp dog looked like a tie-dye t-shirt all week because, as we were painting the walls of the new dance area, she kept rubbing up against the wet paint. We're coming off of 10 consecutive days of rain! But all the roads are open now and though the creeks are still high, we were able to get out and about this weekend for our much-anticipated adventures. Awards were handed out this week to campers who were leaving, and included recognition for: Best Typist, Mr. Odipherous Feet, Mr. Gentleman, Mrs. Huggable, Mrs. Slow-Mo-Jo, and Mrs. Best Big Sister. The camp fave dessert this week was, hands down, CHEESECAKE! After our formal dinner, which included candle-lit tables and sparkling apple cider, we changed back into our everyday clothes and hosted a Skit Night filled with laughter. And speaking of sweets, with a new crew arriving for the second half of summer, the illustrious candy bar treat awaits the first camper who can name everyone (including counselors) at lunch without a mistake. Pics of this would have been impossible, so we'll just tell you that our spelunking adventure included getting to go across an in-cave lake on inflatable tubes! This weekend was also changeover and the first time we tried "The Big Switch" on the same day. This involved many 4-week campers leaving at the same time that many more new campers arrived, for a grand total of 42 Camp Spring Creek kids all at one meal! 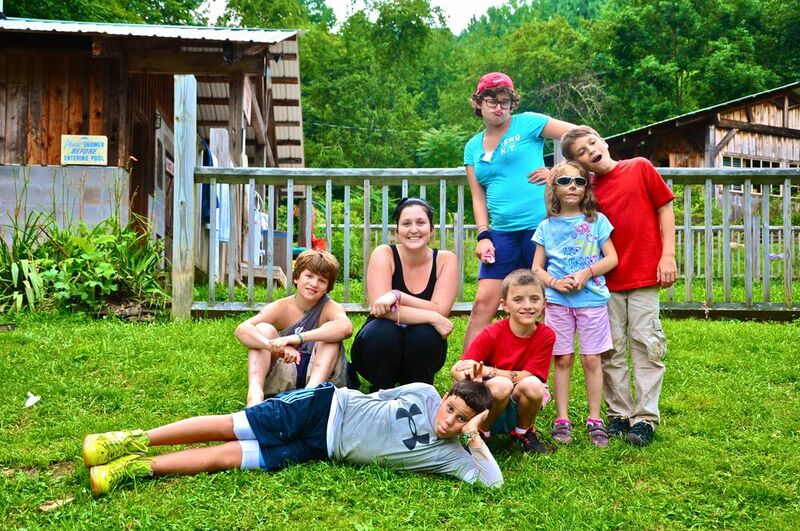 We welcomed 17 new 4-week campers including our youngest, at age 7. This includes a camper from Italy (English is his third language! ), another from Tanzania, and 3 campers from our new partnership with Open Doors in Asheville. Of course, we have 2 campers here for all 8 weeks, and several others here for 6 weeks. It's a lively bunch! We're also very excited to have a full Senior Boys Cabin going into the rest of the summer!